Following are issues that may occur when generating HTML Help output with Flare. When you search via a keyword in HTMLHelp output, multiple versions of the same topic appear in the search results. 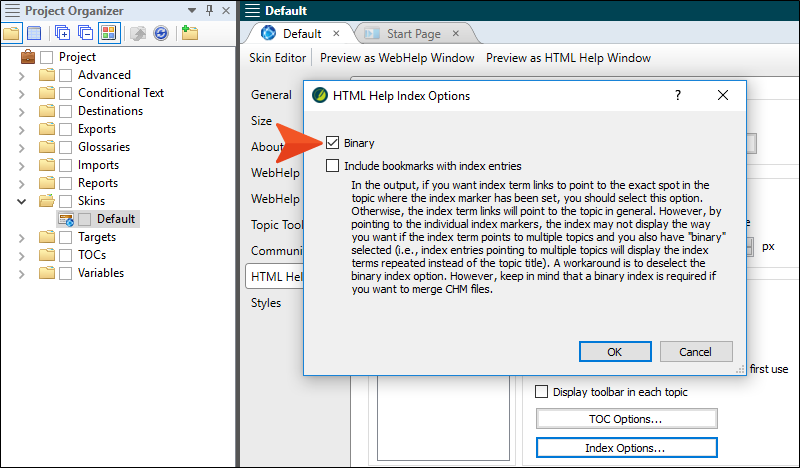 This may be caused because topics that are not linked directly or indirectly from the target are being included in the HTMLHelp output. There is an option in the Target Editor that will allow you to exclude content (such as topics and images) not directly or indirectly linked from the target. Perform the following steps. Open the HTML Help target. 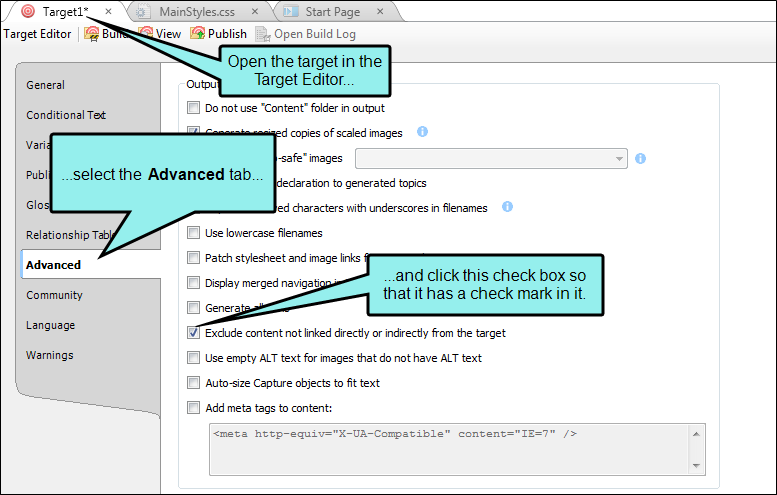 Click the Advanced tab of the Target Editor. Select Exclude content not linked directly or indirectly from the target. For more information on this process, see Excluding Content not Linked Directly or Indirectly from Targets. This can be a result of incorrect browser settings. Reset the default browser to Internet Explorer. To do this, perform the following steps. 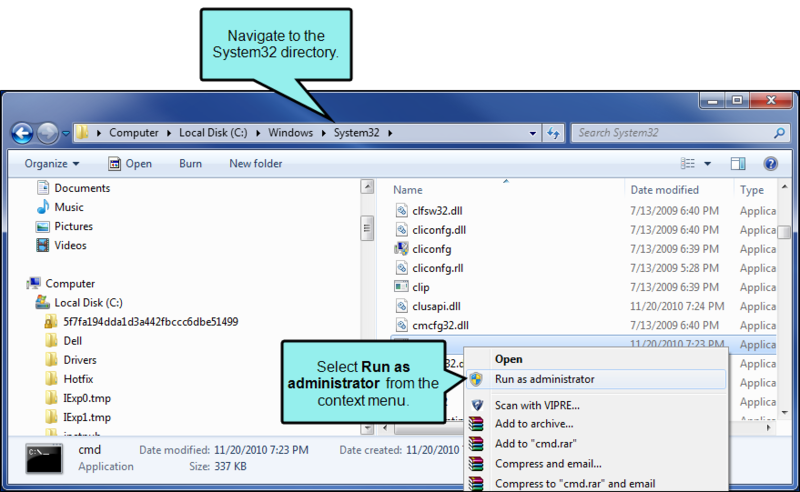 The following steps are based on the Microsoft Windows 7 operating system. The steps may vary if you are using a different operating system. In the Control Panel, select Network and Internet. In the Default web browser section, click Make default. 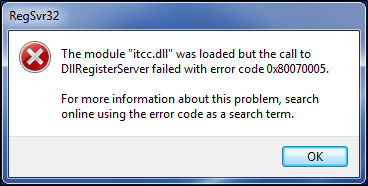 The XML declaration in the topic files is causing the problem. Remove the XML declaration from the CHM files. Perform the following steps. It is highly recommended that you first create a backup of your project. One quick way to do this is to zip it (Project > Zip Project) and save it to a different location on your computer. Open a topic in the project. 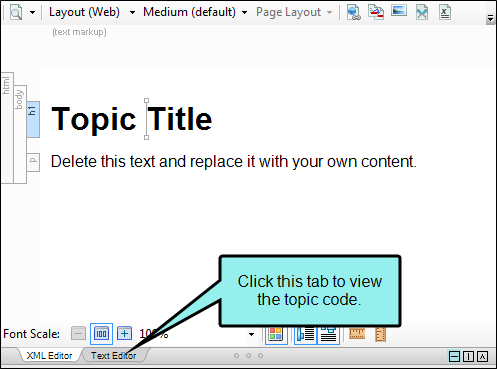 In the XML Editor's bottom local toolbar, click the Text Editor tab to see the topic code. With the first line selected, do one of the following to copy the code. 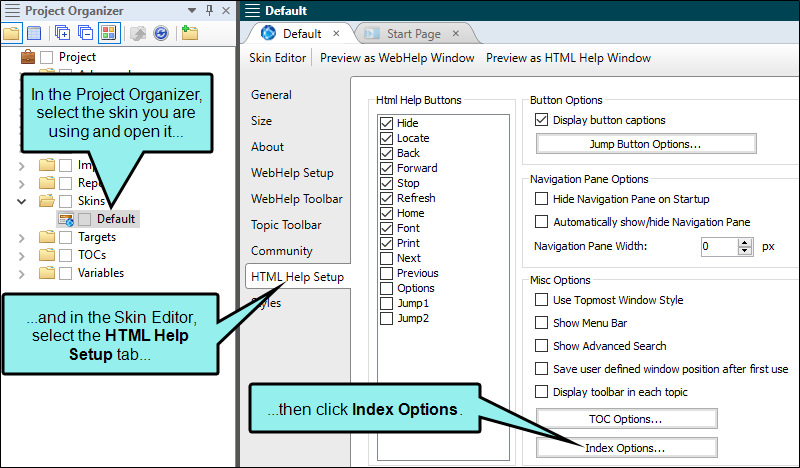 Right-click the selected code and from the context menu, select Copy. 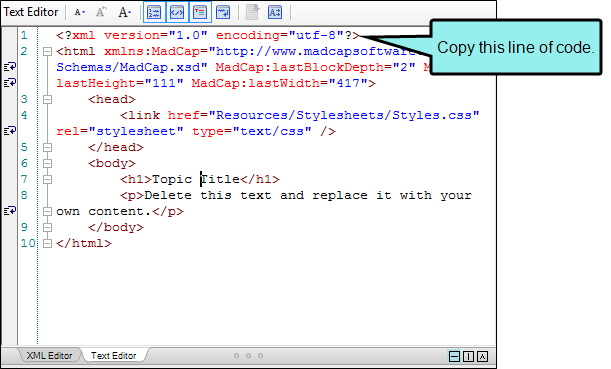 The XML declaration is copied to the clipboard. Ribbon Select the Home ribbon. 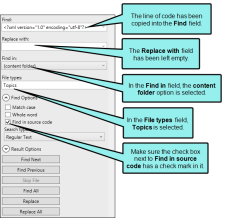 In the Editing section, select Find and Replace in Files. The Find and Replace in Files window pane opens. Click in the Find field, then do one of the following. Press CTRL+V on the keyboard. Right-click in the field and from the context menu select Paste. The XML declaration will be copied into the field. Leave the Replace with field empty. Click the down arrow next to the Find in field and select content folder. Click the down arrow next to the File types field and select Topics. Under Find Options, select the Find in source code check box. Click Find All. The search is initiated. If any search text is found, it is shown in the Find Results window pane. Click Replace All. This will remove the XML declaration from all topics in the project.